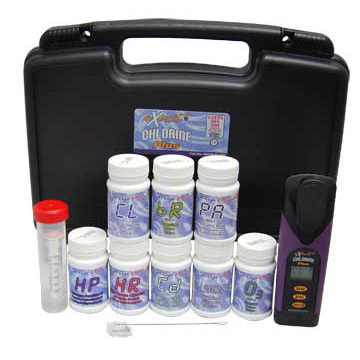 With all the posts we’ve written about the importance of testing chlorine levels in drinking water, we seem to have forgotten that a lot of people have test kits already and simply need replacement dpd tablets. The links below will take you to a site where you can pick up replacement dpd tablets and DPD powder for the Taylor brand of water test kits for pools and spas. One of the most widely used testing methods for free and total chlorine makes use of something known as ‘DPD’ which stands for N,N Diethyl-1,4 Phenylenediamine Sulfate. The addition of DPD to water samples containing oxidizers such as free chlorine, bromine, iodine, chlorine dioxide and/or permanganate results in the formation of a reddish tint to the water whose intensity directly relates to the amount of oxidizer(s) present in the water sample. At low oxidizer concentrations water samples turn a slight shade of pink in the presence of DPD and at higher oxidizer concentrations the sample will turn blood-red orange. In extremely high concentrations of oxidizers, as in above 10 ppm, the sample will turn blood-red and then go crystal clear due to the bleaching effect of the oxidizer(s) it contains. Other oxidizers such as ozone and total chlorine do not react directly with DPD and require the addition of a compound known as Potassium Iodide (KI) before they will react with DPD. 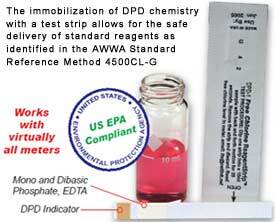 DPD-1 — Used to test oxidizer levels in water samples containing free chlorine, bromine, iodine, chlorine dioxide and/or permanganate. DPD-3 — Useless on its own, but when added to samples already containing DPD-1 and free chlorine, total chlorine, bromine, iodine, chlorine dioxide, permanganate and/or ozone, pink through blood-red color development will occur in the sample. DPD-4 — The combination of DPD-1 (N,N Diethyl-1,4 Phenylenediamine Sulfate) and DPD-3 (KI) to samples containing free chlorine, total chlorine, bromine, iodine, chlorine dioxide, permanganate and/or ozone will result in pink through blood-red color development in the sample. Simply put, DPD-1 + DPD-3 = DPD-4. and the Meter Reads the Sample! DPD comes in various forms, the most common of which include tablets, powder pillows, liquids and ReagentStripsTM. Each works equally well when used correctly and may typically be interchanged with one another, though all do have their pros and cons. Tablets: One of the cheapest forms of DPD available and has a very long shelf-life. Difficult to break apart and dissolve in cold or hard water samples and may leave suspended solids floating around in samples. Powder Pillows: Inexpensive form of DPD. Difficult to dissolve in cold or hard water samples and may leave suspended solids floating around in samples. Users also complain of ‘annoyance value’ associated with having to tear the foil pillows open and pour the DPD powder into the sample vials. Not well-suited for outdoor testing. Liquids: Shorter shelf-life and much more unstable than other forms of DPD, considered ‘messy’ by many users, but also probably the expensive form of DPD. ReagentStripsTM: Convenient delivery method for DPD, rarely leaves undissolved solids in samples regardless of temperature or hardness, decent shelf-life, and available in bottles of 50 or individually wrapped tests (excellent for field work). Update — Got a chlorine test kit/meter that has a 10 mL sample size and uses DPD-1 tablets, powders or liquids? If so, then you definitely want to check out DPD-1 ReagentStrips for free chlorine. They mix into solution much quicker, easier and cleanly than DPD powders and DPD tablets and have a much longer shelf life than DPD liquids. The USEPA has accepted DPD-1 ReagentStrips for reporting water and wastewater analysis. That means the USEPA has found the DPD-1 ReagentStrip free chlorine testing procedure equivalent to its own USEPA method 330.5 for wastewater and Standard Method 4500-Cl G for drinking water when used with Palintest Chlorometer 1000 or equivalent. 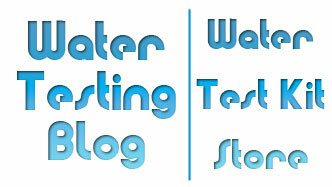 Update — Want to use less water when testing for free (and total) chlorine? The eXact Chlorine Photometer requires 60% less test sample and meets the criteria for a USEPA Compliant Meter for free and total chlorine testing. DPD 1, 3 and 4 ReagentStrips — Faster and more convenient than traditional DPD test tablets. No MSDS required. Safe to use on production room floors of food processing facilities. EPA Compliant testing method. Packaged in bottles of 50 or individually wrapped in foil packs. Costs as low as 8 cents a test. A reagent (chemical) known affectionately as DPD has reigned supreme as the ‘best’ way to test for the presence of free or total chlorine in water for quite a while now. What most folks don’t know is that someone has FINALLY found a way to make using DPD for chlorine testing even easier. DPD ReagentStrips: Look like test strips, but function like a totally convenient way to precisely administer measured amounts of DPD into a 10 mL water sample. All the reagents, buffers and indicators come neatly impregnated on the pads at the end of an ergonomic PVC strip. Simply swish the pads around in your sample for 20 seconds, remove the strip, throw it away, and read your sample in your preferred colorimeter. DPD ReagentStrips fall under the guidelines of EPA Compliance and may, in most cases, be used in place of all other DPD methods. . . and they don’t require MSDS. Previously, DPD came in one of three forms: powder pillow, tablet or liquid. Each has its benefits. . . and each has its downfalls. Powder Pillow: The most popular form of DPD. Precise amounts of the reagent come in single-dose foil ‘pouches’ that the user tears open and pours into their sample. Sounds like a great idea, yes, but try using these things in a ‘wet’ or windy environment. Anyone who works in the field will know what that means. MSDS required. Liquid DPD: Cheap as can be, but with that inexpensive price comes an incredibly short shelf-life compared to other DPD delivery systems. MSDS required. DPD Tablets: Very inexpensive, very stable. Great way to deliver exact amounts of DPD into samples, except for one small problem: DPD tablets do not dissolve smoothly or easily in cold or hard water. In either type of water, DPD tablets typically leave undissolved solids floating in the sample and when analyzing water samples using colorimeters the suspended solids can cause erroneous readings. Fast Dissolving DPD Tablets: Same reagent dispensing mechanism as regular DPD tablets, but they dissolve faster. These, too, may leave undissolved materials in samples such as elements of the binding agent(s) which held the tablets together prior to immersion in the sample. UPDATE: For certain free chlorine testing applications, states now have the ability to approve the use of EPA Approved SenSafe(tm) Free Chlorine Check test strips. Please consult with your State and/or Local Health Departments to see if your State has approved their use. 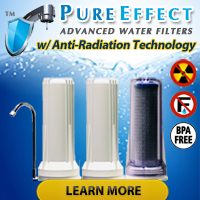 Benefits include faster test times and no monochloramine interference.